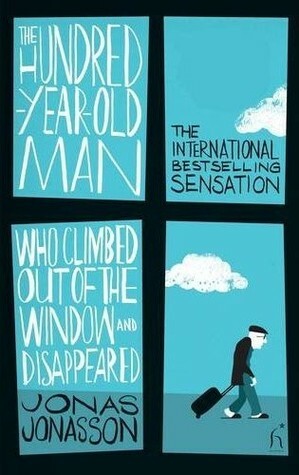 Synopsis: On his 100th birthday, Allan Karlsson decides that he doesn't want a party with the mayor and the press, so he climbs out of his window at the old people home and sets off on what, unbeknownst to him, will become a great adventure involving criminals, a few murders, unlikely friends and a whole lot of money. Meanwhile, we also learn that this wasn't Allan's first adventure by a long shot as we discover his involvement in 20th century's monumental events. I'm not sure how to begin this review. It took me a very long time to finish this book, but it wasn't because I didn't enjoy it. Because I really did. It had this strange Nordic humour that really appeals to me and I honestly laughed out loud more than once. The whole story is so unlikely and ridiculously ridiculous that it's just really funny. And there's just the right amount of historical fact to make it - not plausible, but to somehow make it feel real. It's told in such an unassuming way that is just has to be taken seriously despite its very nature. Let's talk about Allan. I think he's one of my favourite characters ever. A simple man who loves vodka and is allergic to political and religious ideology. I think Jonasson took the phrase "live and let live" and thought "What if this phrase was a person?" and that's how Allan Karlsson came to be. I honestly don't think I've ever encountered a character (or a person, for that matter) who was so completely devoid of an agenda and yet still had such a unique personality. Allan was a truly beautiful psychopath. The impression that I got reading this book was that I was watching a cartoon and all these unlikely things happened, the world turned on its head while Allan strolled through with his eyes closed and whistling. Like he was Road Runner and the whole world was Wile E. Coyote. A lot of the book's humour came from that sensation. Of course, Allan wasn't the only colourful character in this story. Around him, we see a cast of uniquely nutty characters, each adding to the story. I wish I could tell you more about these other characters, but I feel like doing so would take away from the book. I find this book difficult to review because I feel like anything I will say will just take away from the experience of reading it. So I will say only one more thing: if you're into Nordic humour and love irony and the absurd, then this book is worth reading.